Usually when a new phone is released, I’ll get an email from someone at the phone’s manufacturer or a wireless company asking whether I’d like to review it. After the announcement of the Samsung Galaxy S10 phones, I was offered phones by Verizon, AT&T and Samsung. I never know when they are coming — the emails just ask whether I’d be interested in a handset to review. So I’m blessed with an overabundance of S10 phones to review, and I want to thank all three companies. I didn’t have an S10e to try, so this review will discuss only the S10 and S10+. The S10 phones look like last year’s S9 phones, but once you light up the screen, you’ll see the difference. The screen really does go edge to edge. The S10+ display takes up more than 93 percent of the front face of the phone. The sleep/wake button is on the right, while volume and a button to invoke Samsung’s artificial assistant Bixby are on the left side. Bixby isn’t as popular as Siri or OK, Google, but it is gaining in popularity. If you don’t want to use it, the button can be remapped to launch other apps. Of course, being able to give your friend’s phone some power is great, but remember, as his phone is charging, yours is discharging. It works well, but you do have to mash down on the screen with your finger to get it to read. I’m spoiled by my experience with Apple’s home button/fingerprint sensor, which needs only a very light touch to work. Each year I find that the latest Samsung phones are the best Android phone available, and I’m ready to say it again. 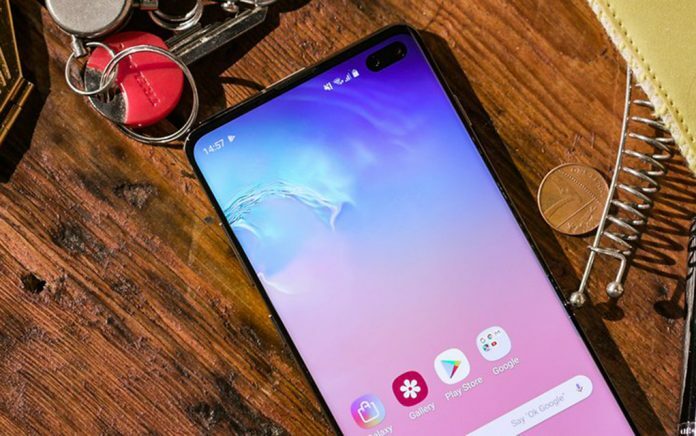 If you’re worried about the high price of these phones, don’t overlook the S10e. I didn’t get to test it, but I’ve been reading really good things.